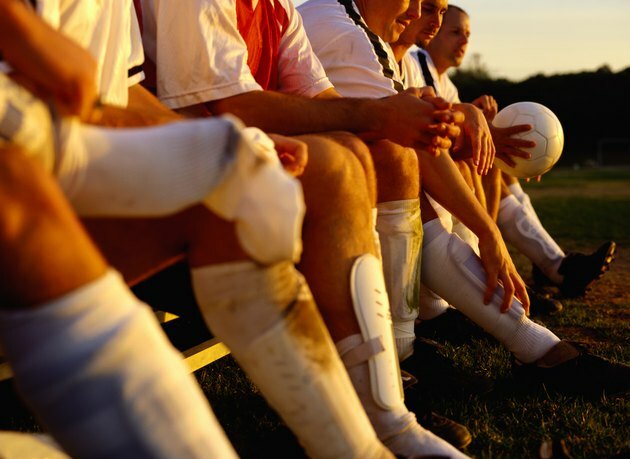 High school soccer teams typically use 11 players, but must have substitutes available when players are injured, receive warnings or need a rest. But this isn't hockey, where a coach can sub players on the fly. Coaches have to follow substitution rules set by the National Federation of State High School Associations. With one exception, the high school sub rules are similar to those in college. Substitutions are unlimited, and players can return freely if they haven’t been disqualified. But, subs are only allowed between periods, after a score or goal kick, or for injuries. It's here that college rules are a little different. A subbed-out collegian can only return to a game in the second half of regulation time, and can only do it once. Players who are bleeding or shows signs of a concussion must be removed, and their teams may substitute new players. Additionally, a team doing a corner kick or throw-in may substitute freely. The opposing team may substitute only if the offense does first. A player who receives a yellow card must leave the game, but may be replaced by a substitute. The cautioned player may re-enter at the next legal substitution period. A player shown a red card is disqualified and the team has to play shorthanded. If the disqualified player is a goalkeeper, the team can put in the backup keeper but a field player must go to the sidelines. Subs have to report to the official scorer, who records the number of that player and the one she's replacing. The referee will motion her in at the first appropriate stoppage. The only time subs can enter without the referee's signal is at the start of a new period. If a player is injured and leaves the field during play, he can be replaced at the next stoppage even if it’s not a normal sub situation. Subs can also come in during a penalty kick situation but can't kick. For example, if a player is injured while being fouled in the penalty area, his sub can't be the guy who takes the kick.